Irvine City Council Candidate Farrah N. Khan announced today that she has officially received the endorsement of State Controller Betty Yee. Yee was elected in 2014 as California’s State Controller. She previously represented 21 counties in northern and central California as a member of the Board of Equalization. As Controller, Yee is the State’s Chief Financial Officer. She also chairs the Franchise Tax Board and serves as a member of the California Public Employees’ Retirement System (CalPERS) and the California State Teachers’ Retirement System (CalSTRS) Boards. Farrah N. Khan expressed gratitude upon receiving Yee’s endorsement. “Betty Yee is one of our state’s most admired leaders, and I am excited to work with her to get things done for the Irvine community,” said Khan. Just last week, Khan was endorsed by Former Irvine Mayor Sukhee Kang. 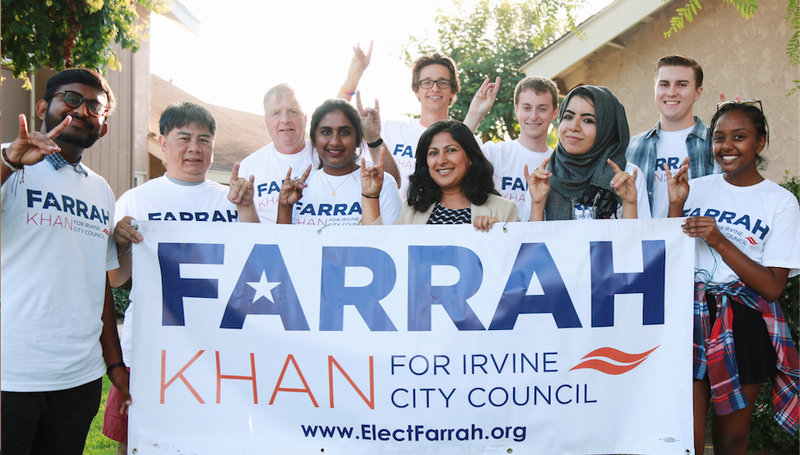 Farrah N. Khan is a candidate for Irvine City Council on the November 8, 2016 General Election Ballot.